We are in the 11th season of the IPL and now everybody has accepted the fact that in the T20 format the batsmen can win you matches but the bowlers will win you the tournament. A lot of times we tend to look at the batsmen who did well but, not at the bowlers who have done well. So here are the 5 underrated Indian bowlers in the IPL over the years. 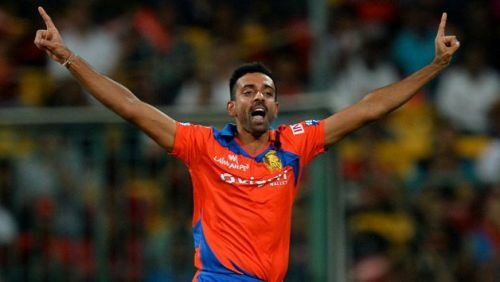 Dhawal Kulkarni has played 75 IPL matches which itself tells us that he is a really good bowler because you don’t get picked for that many matches if you are not good enough. Unlike other bowlers, Dhawal sticks to the basics and tries to swing the ball upfront. He has taken 76 wickets at a strike rate of just 19.01, which means he takes a wicket almost every 3 overs. His economy of 7.96 isn’t bad either considering the flat pitches we get these days. He had a dream season with the Gujrat Lions in 2016. He took 18 wickets in 14 games that season and helped his team to top the points table. His excellent performance of 4/14 in the 1st Qualifier almost won GL the game. He has been a consistent performer over the years in the IPL and so he slots in at No.5 as an underrated bowler.